I am an American and I love America, but we got this one wrong and we need to collectively own up to our screw up. American foreign policy decisions have been direct causes of the Russian military intervention in Ukraine. The narrative in the popular American press, that Putin is behaving aggressively or even irrationally, is incorrect. In truth, Russia is acting from motivations that are grounded in its desire to defend its legitimate security interests. Here’s why. The United States forced Ukraine to give up its nuclear weapons in 1994, leaving it defenseless. The United States has taken actions that the Russians legitimately perceive to be threatening in Eastern Europe. France and China later sent individual letters echoing the sentiment, but that’s all the memorandum was–sentiment. Russia, the US, and the EU have all used economic pressure to intervene in Ukraine’s domestic politics in recent months. From the Russian perspective, the US and EU disrespected Ukrainian sovereignty by supporting the Euromaidan protests that overthrew Viktor Yanukovych, who was the freely elected leader of Ukraine. From the American and European perspective, Russia has disrespected Ukrainian sovereignty by threatening to use military force against Ukraine. In any case, should the Russians actually use force in Ukraine, it is highly unlikely that the United States or European Union would commit military forces to Ukraine’s defense because doing so is quite costly and because Russia has nuclear weapons. Given that fundamental reality–that the US and Russia are not going to go to war over Ukraine and indeed would almost certainly never do so due to the risk of nuclear annihilation, it was foolish in the extreme for Ukraine, Belarus, and Kazakhstan to accept the token assurances contained within the memorandum. But what was perhaps even more foolish was the American move to disarm these countries in the first place. Think about it. If the United States is not prepared to go to war with Russia to defend the territorial integrity of Ukraine and the Ukrainians do not have nuclear weapons, how is the territorial integrity of Ukraine to be defended in the event that Ukrainian-Russian relations sour and Russia attempts to use its superior conventional forces to coerce Ukraine? If the Ukrainians can’t defend Ukraine and the Americans won’t, it was merely a matter of time before the Russians found themselves in a scenario in which using military force against Ukraine would be useful to them, and there would be very little anyone would be able to do to stop them. This argument was made in the early 90’s by John Mearsheimer and foolishly ignored. If Ukraine had nuclear weapons, Russia could not use military force against it and this crisis would be impossible, at least in its current military form. Like the United States, Russia worries about nuclear proliferation. Like the United States, Russia worries about terrorism. Like the United States, Russia worries about a rising China. The support the Obama administration is currently showing for the revolutionary government in Kiev is only confirming for the Russians their suspicion that the United States intends to bring Ukraine into NATO–indeed,George W. Bush stated his support for just that in 2008. Even today, the United States sent Secretary of State John Kerry to Kiev to issue support for the revolutionary government, further accentuating, as far as the Russians are concerned, US involvement in the Ukraine. 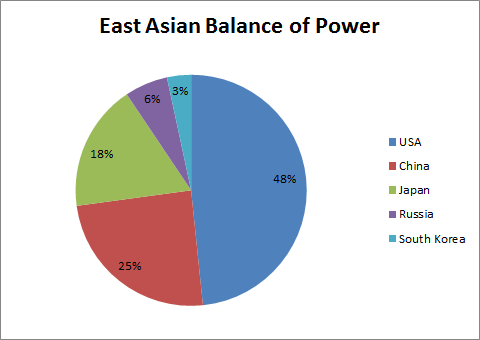 Russia is a comparatively puny power in the East Asian region, and there’s no reason it should not be cooperating with the United States, a country with no territorial ambitions in East Asia, to contain China, a country that shares a border with Russia and has highly revisionist intentions. So what should the United States do? The American goal should be to demonstrate to the Russians that the Chinese, not the United States, pose its greatest security risk. That means that America announces, publicly, that it will never invite Ukraine, Georgia, Belarus, or any other former Soviet Republics into NATO. It means that the United States should take sanctions off the table and swear off taking any punitive action at all against Russia. Hawks may note that this will fully enable Russia to do whatever it wants in the Ukraine, and this is true, but because America took away Ukraine’s nuclear weapons and is not willing to defend Ukraine itself, it is already without sufficient leverage to stop the Russians from doing whatever they want in Ukraine. The best the US can do now is to attempt wholeheartedly to reverse the decay in US-Russian relations. Doing so is not appeasement. This isn’t Munich because the Russians are vastly less powerful than Nazi Germany and because most of the various other countries in Europe that Russia could pick on are already part of NATO and consequently off limits to it. Russian tanks are not about to roll into Poland, and if the Russians tried to roll into Poland, NATO would annihilate them because it is tremendously more powerful than Russia is. The Russians are not suicidal maniacs. Many Americans are trying to pin this on the Obama administration, and the Obama administration is certainly responsible for openly helping the revolutionaries in Ukraine overthrow their government and thereby frightening Russia, but this represents a grand failure of American strategy in Eastern Europe, a strategy that dates back to both the Bush and Clinton administrations. By continuing to treat Russia like the Soviet Union, America has created a self-fulfilling prophecy in which the Russians are forced to act defensively in much the same way a much-weakened USSR would likely act. The answer is not to “get tough” with Putin, to further damage relations and further entrench in the attitudes of both peoples the Cold War mentality, but to do an about-face and recognize that given Russia’s relative weakness, it is not a serious threat, and that US and Russian interests broadly align on most of the critical issues impacting both powers today. We owe it, therefore, to candor and to the amicable relations existing between the United States and those powers to declare that we should consider any attempt on their part to extend their system to any portion of this hemisphere as dangerous to our peace and safety. Replace “United States” with “Russian Federation” and “this hemisphere” with “former Eastern Bloc”, and you have Putin’s policy. It that really so unreasonable? Can we really not accommodate it and cooperate with the Russians on more pressing issues? Nope, it is not unreasonable but politics is also a funtion of time and space. What was good for the goose in the past, is not good for the gander now. I agree with many of your points, and thank you for pointing them out. However, I think you might be oversimplifying the situation. How exactly is this completely America’s fault? Ukraine signed the Budapest Memorandum. Did the U.S. or other countries coerce them? If not, then Ukraine is also to blame for the situation, considering that you are blaming that treating as the underlying cause. Also, the Russian Federation and U.K. signed it as well, amongst other countries. Why are we only blaming the U.S.? 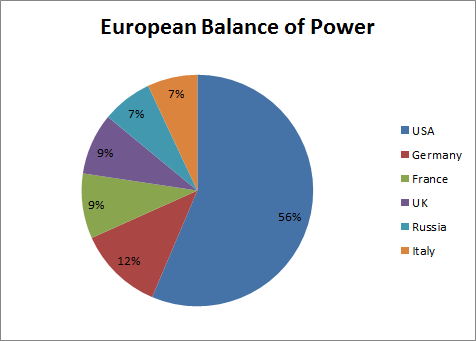 Second, is the balance of power in Europe measured by GDP? If so, then that may not be the best measurement to judge Russia’s strength. What are the countries’ expenditures on defense? What about the size of the military? How about the natural resources? I think Russia is stronger than you are letting on. I do agree China does pose a greater threat, now and even more in the future, but that is not say China is only threat. Perhaps I am not understanding your points well, but it almost seems like your points about NATO expansion conflict with each other. At first, you said the expansion of NATO into Eastern Europe made Russia feel threaten, which I understand. Later, you state that Russia is limited because of such expansion. The latter statement seems like you are asserting that it is good that parts of Eastern Europe is with NATO. You stated that Poland is protected from Russia because of this. So I ask you, is it a good thing that Poland is in NATO or was NATO’s expansion not worth it? Also, what does the U.S. benefit from allowing Russia to do what it wants in Ukraine? We can attempt to reverse the decay of our relations with Russia after Ukraine’s safety is dealt with. I do not believe it is in the U.S.’s interests to allow Russia to launch a full-scale invasion of Ukraine and annex it. You are right Russia cannot do this to Poland but what about Belarus and Kazakhstan? Russia is practically containing itself. These actions were a horrible strategic move on their part. It will damage their relations with Europe, especially Eastern Europe, such as Poland, which will look at Russia much more cautiously. Negative sentiment towards Russia will grow in Ukraine, which setups for them to join the EU and perhaps even NATO in the future. If Russia does escalate the situation, then I would not be too sure that the U.S. and NATO would do nothing. I do agree that is unlikely that the the U.S. will send troops on the ground, but they can help in many more ways, such as how they helped in Libya. The U.S. can help arm the Ukrainians, lease equipment, offer loans (which they have already done), use drones, use economic sanction, etc. Also, I am not sure if the comparison to the Monroe Doctrine is that relevant. Global politics are clearly a lot different than they were almost 200 years ago. I know you are just trying to make us see Russia’s perspective, but they are very different situations. Finally, everything under the “so what should the U.S. do?” is almost politically impossible. Allowing Russia to do what it wants may not be appeasement in this case, but it will certainly be viewed as such. Ukraine wanted to keep its nukes, but the Clinton administration threatened it with severe economic penalties if it did not agree to give them up. I blame the US because it was the credible US threat to penalize Ukraine and the US promise to defend Ukrainian sovereignty that caused Ukraine to give them up. Only the US was in a credible position at the time to defend Ukraine from a hypothetical future attack by Russia. Output is really valuable when we’re comparing countries of similar industrialization because it measures the ability of a country to shift its production to military spending. Defense spending can change very rapidly–the US multiplied military spending by nearly 10 times between 1941 and 1943, and Germany doubled its spending between 1937 and 1938. States can very quickly economically mobilize for war, so output, while not a perfect measure, is very good in this context. Okay, on NATO expansion, we can imagine two alternative US policies after the Cold War ends, one in which NATO expands, and the other in which it doesn’t. If we expand NATO, we scare the Russians, the Russians get progressively more and more resistant to further NATO expansion. Eventually, NATO gets so close to the Russian border that the Russians are forced to use military force to ensure that the remaining Eastern European countries do not join NATO. That said, Russia cannot go on to invade countries that have already been integrated into NATO. That’s what we’ve seen. Now in an alternative case in which we do not expand NATO, why do the Russians invade anybody? They don’t need invasion to keep countries out of NATO if no one is joining NATO. Russia has not tried to invade territory in Eastern Europe for any other reason since the Cold War ended. By not expanding NATO, you take away the rationale for Russian invasion. But for the sake of argument, let’s say that Russia wages an open war of conquest against an Eastern European state in the absence of NATO expansion. What would all the other Eastern European states immediately do in response? Join NATO in self-defense, which is Russia’s worst nightmare, so in that case, instead of invading to keep countries out of NATO, Russia avoids invading for the same reason. Why should Russia invade Belarus or Kazakhstan? Neither of those countries has ever threatened to join NATO, and both are part of Russia’s Eurasian Union, which is Putin’s counter to the European Union. And then you make an excellent point–these invasions damage Russia’s relations with other countries, so why would Russia do them unless it believed it absolutely had to in the name of a core strategic interest? In Libya NATO bombed Gaddafi’s forces. NATO will not bomb the Russian army, because that would definitely trigger a war with Russia. If NATO arms the Ukrainians, that will only further convince Putin that this whole thing is about NATO expansion and make him commit more deeply to winning. Plus, Russia isn’t Libya, even if NATO sends the Ukrainians weapons, their army is too small and too poorly organized to beat Russia’s. I think states are just as interested in keeping potential threats as far away from them as possible today as they were in 1823. The world has changed in many ways, but not in this way. I very much doubt we do what I think we should do, but that doesn’t mean that we couldn’t or shouldn’t. Part of the reason my recommendations seem so politically unfeasible is that the administration has already made serious mistakes in the way it has framed the crisis in its public statements and in the way it has encouraged the media to view the story. I simply cannot comprehend what are the threats you talk about when you mention China or Russia? Threats to what? The only thing that comes to mind is a threat to USA dominance, which for me is absolutely wrong reason to demonize some country. I will go even further, and say that USA dominance has brought more evil than good around the world and many third world countries have suffered dearly for all the wrong and false causes (Vietnam – the fear of communism, Iraq – oil etc.). Millions of people have died so that USA could preserve its dominance. How does this help anybody except USA? My thought is that the most destabilizing factor in the global politics today is actually USA. Maybe you should think more how to change your perspectives and cooperate with the world instead of trying to dominate it. The truth is that people in all countries on this planet basically want the same; that is to live healthy and secure lives and to prosper. Speaking generally, no one really wants to go to war. So why is there a constant demonization of Russia and China when there is absolutely no proof that these countries would behave any differently than USA. Rather, we could safely conclude that they would behave quite the same. For the most part, I agree with you–US dominance is not to the advantage of people in other countries, and indeed the US often exercises a destabilizing influence in areas in which it tries to intervene. I also agree that, given the same amount of power, Russia and China would behave in a similar way. The “threats” are threats only from the perspective of the United States, and they are exclusively threats to its dominance, which it considers valuable. It’s consistent with that to say that you don’t think US dominance is globally beneficial, and in many ways I would agree that it often regrettably is not. A very intricate and insightful approach to the issues faced in the Eastern Bloc. A must read if you are looking for alternate points of view. Anytime! Good work needs to be shared around. I enjoyed reading your article and think there is a lot of merit to the fundamental “security dilemma” that is at the heart of your argument. I think that an understanding of the Ukrainian situation is incomplete without considering the role of rising food prices and economics. A very simplified summary of events from this perspective would be: 1) rising food prices puts pressure on lower and middle class Ukrainians; 2) this discontent threatens the current regime; 3) the Yanukovych administration seeks closer ties to the EU as a response to the economic pressure; 4) Russia understandably finds Ukraine’s tilt to the West unacceptable and takes the necessary steps to preserve its capacity for self-defense. (I found Pippa Malmgren’s interview with Eric King very informative in this regard: http://www.kingworldnews.com/kingworldnews/Broadcast/Entries/2014/4/19_Dr._Philippa_Malmgren.html). While this does not negate the effects of US policy in the region, I think it is important to recognize in developing effective policy responses and predicting potential future friction points. Identifying our ultimate strategic objective with Russia might bolster your assessment of US policy. My assumption is that in the long run, our general goal is to see Russia become freer economically and politically. Economic cooperation with China has had limited success in more closely aligning the political interests of our nations. 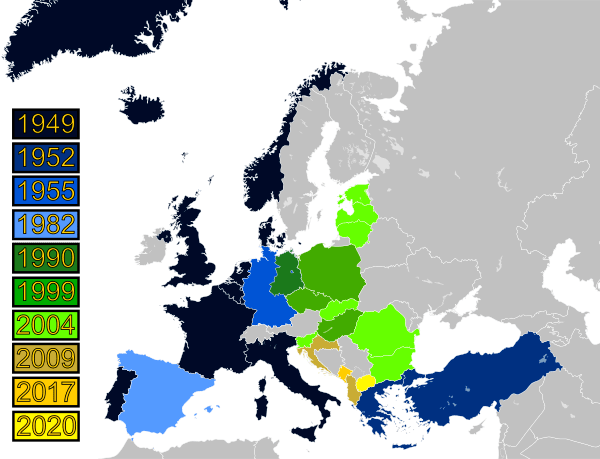 Aggressively expanding NATO and applying economic pressure might be the best way to influence Russia towards a more capitalist and democratic society with interests similar to our own. The clearest path towards achieving our strategic objective I see is that demographics point towards declining Russian political and economic power in the coming decades. This promotes political instability and opens the door for serious reforms. Russia cannot sustainably afford significant intervention throughout its former sphere of influence to keep NATO out. The likely outcome in Ukraine isn’t all that bad from a US perspective, but it comes at a somewhat considerable cost to Russia, especially if the West uses it as an excuse for larger economic sanctions down the road. Finally, I would question your assumption that a nuclear-armed Ukraine would have deterred Russia from the actions it has taken. This is not a crisis manufactured exclusively by outside powers. Ukrainians had legitimate grievances that their government failed to satisfactorily address. Russia merely had to stir the pot to embolden an anti-government sentiment that already existed. The risk of unsecured nuclear weapons might have made them more cautious in promoting political instability, but it might also have served as a justification for a broader invasion. I think the bottom line is that a Western-oriented Ukraine is simply unacceptable for Russia because it severely degrades Russia’s ability to defend itself. As George Friedman put it, Russia needs land to trade for the enemy’s blood, which buffer states like Ukraine have historically provided. Even if Ukraine had nuclear weapons but faced the same domestic discontent that caused the current crisis, Russia could reasonably use covert means to incite civil unrest and then justify an annexation of Crimea as it has. The cost of a mistake would increase, but Russia would probably be willing to accept that due to the centrality of states like Ukraine in Russia’s national defense strategy. If a Western-aligned Ukraine is truly a red-line for Russia, which I believe it to be, then a nuclear-armed Ukraine would have increased the costs of miscalculation without deterring Russia. Interesting point of view on the issue! No doubt domestic economic issues have played a substantive role in inciting Ukrainians to demand change. Interesting theory on the nukes–if Russia were to attempt to invade and occupy territory of a nuclear state, it would be unprecedented. To this point, no state with nuclear weapons has been made to cede significant territory to other states. Ukraine could threaten to use nuclear weapons to force a Russian withdrawal, as Pakistan did with India in 2002. For the Russians to proceed with annexation, Russia would need to be nearly certain that such a threat was not credible. The mistake most people make is that Russia/Putin are acting aggressively out of strength. When in fact, they’re acting aggressively… WHILE THEY CAN. If they wait too long without regaining a buffer between the West and Moscow, demographic changes and economics will prevent them from being able to in the future. Agreed, Russia is behaving very much like a declining power. Their population is a shell of what it once was and they’re way too dependent on petroleum exports. I look at Russian publications and I lament at the lack of open and free debate. Western publications cannot mirror this kind of censorship and control. It might be difficult, and even anguishing, to read the opinions of people who defend the likes of Vladdy Putin but we should regard it as a source of pride and strength. Russian media does not allow this kind of active debate…. a clear sign of their paranoia and weakness.